Insurance Agent: Need Base Approach vs Commision Base Approach? How can we distinguish that a process of interaction between the prospect or the customer with an insurance agent has been referring to the NBA or is it still very strong CBA practice? 1. Product first, assessment later. In various talks always put the promotion and the ins and outs of the product. In fact, even worse if from the beginning had been very intent to sell one particular product. Roughly, when you find your name in yellow pages too he has set you will be offered a certain product. Of course there is no priority at all to know what you actually need is not it? Especially to understand your character in conducting financial product transactions, as well as your plans in the life that underlies your actions to buy insurance policies. 2. If there are several products offered , you will always be encouraged to buy the product with the highest commission rate, and or the easiest to acquire. There is no short-term insurance product. Even if there is a product such as Term Life with an annual term, the underlying financial planning horizon is a long span of time. On the other hand, there are products that have investments and are very popular these days: Unit Link. In addition to being easily acquired because the illustrations are made very interesting, this product commission also doubled. If your personal needs and characteristics are ignored, and for any questions the answer is a particular product, then the agent is definitely a realtor's mentality. He does not think you are important. His commission is important. 3. In explaining the benefits of products and features , the answer is brief, solid, straightforward and convincing: always refers to the yield (profit rate / growth) and refers to the ease of premium payments (both quantity and frequency). Referring always to the quantitative aspect should be suspected as a reference to the value of the commission to be obtained. There is a rigid insurance product, inflexible payment, and a conservative growth rate. But that is the way products are made for different purposes and characteristics of different customers' needs. Generalizing the needs of customers with only one product that is said to be "superior" and answering all customers' needs, is definitely a big lie. There is no cure for all diseases. 4. In promotions , with language that is again short, solid, straightforward and sure to say the insurance company is number one or the best, without being able to explain the basic statement, it is certain to cover something that is not right on how to sell, or problems in the company insurance, or shortcomings in response to customer needs. Even if you want to promote the benefits of his company, as an insurance company, there is a standard measure to determine the level of health. You can ask the agent to provide an overview of the company's financial statements and explain critical points by point. Among others: Risk Based Capital, Claim Ratio, Paid Capital, Market Share, and many more more legitimate financial scale used as a basis to declare an insurance company is indeed strong and superior. That can answer your needs. From the scheme then the agent will provide product recommendations in accordance with the scheme agreed earlier. So, offering the product is at the very back of a series of interactions between agents and prospects. 2. Can provide a concise, easy to understand and simple description of three things: the need for protection, client life cycle, and basic financial planning. Then, succinctly and simply can summarize the correlations of those three things, and guide you as a prospect to understand your own needs, align your financial planning with your life cycle, and direct you to the appropriate scheme. The whole process requires the agent to act as a consultant. Thus, there is no talk of products, premiums, features, medical checks, illustrations and so on. 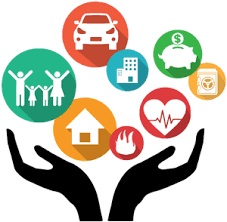 The discussion's orientation is to provide an understanding ground for prospects why insurance is needed in the context of financial planning. 3. In explaining the product profile and illustration of the product (if it has arrived at this stage), the insurance agent emphasizes the product design that emphasizes the product philosophy and relates reasonably to the discussion of customer needs and financial planning. Common references such as yields, premium payment flexibility and quantitative quantities, are not the focus because the ones discussed are insurance products, not investments, focus should be on how product and product design can address specific customer needs. When providing information about insurance companies, there is a tendency to be reluctant to promote, but provide the due diligence information on the insurance company. Good agents and customer-oriented satisfaction will be reluctant to say the insurance company is number one especially if it is unable to provide the basis of the statement. It will tend to help you by providing financial information and insurance measures of insurance, then explaining in depth and succinct the purpose of the measurement and how to interpret it. Not the same not between realtor with advisor? What about your insurance agent?